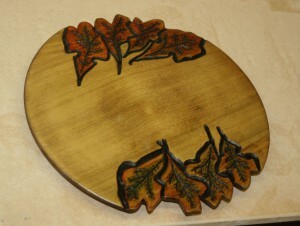 interested in promoting the art and craft of woodturning. The organizers of the group included Chris Weiland, Director of the Furniture Design Program within the College of Fine Arts at the Indiana University of Pennsylvania and a number of other woodturners in the area. The By-Laws have been regularly updated to reflect current practice and procedures adopted by the group. They can be found here … ICWA.ByLaws.March.2014.